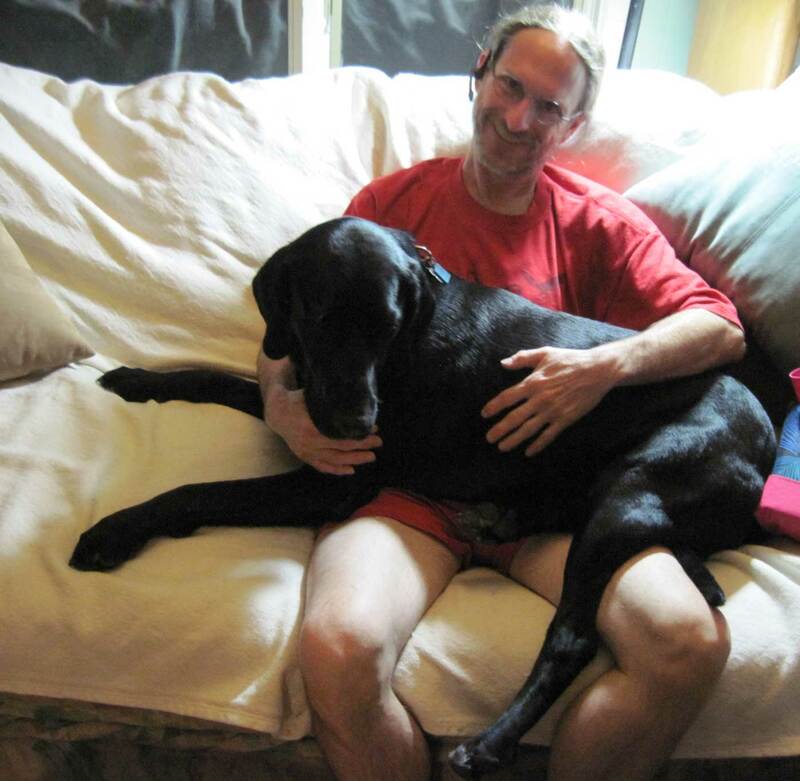 Some of you are aware that my family and I foster dogs for the Rocky Mountain Lab Rescue. 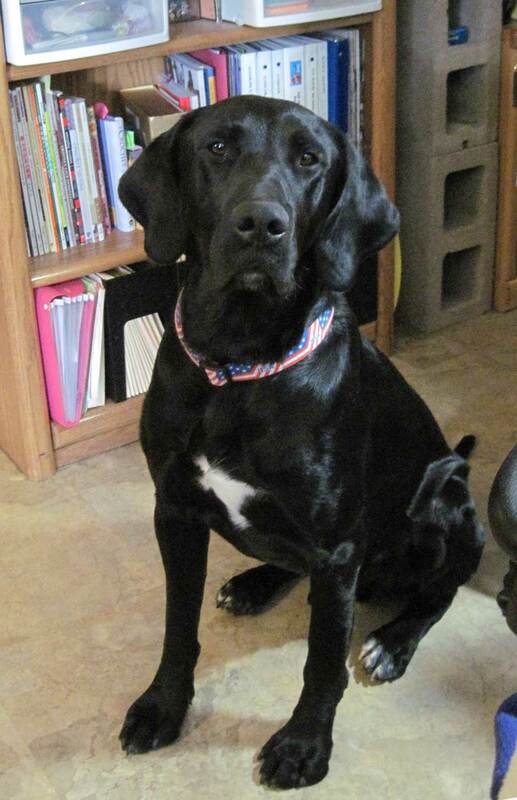 These wonderful folks arrange fostering and adoption for labrador retrievers and mixes. Most of the dogs that come into the Rescue are in danger of being put down. So Fostering saves a life. Especially as RMLR doesn’t have an actual facility they depend entirely on their Fosters and other volunteers to keep things going. This is our most recent Foster doggie Deacon. This guy is a total sweetheart. And he is a BIG dog. Currently weighs a bit over 80 pounds and is about 10 months old. So a very Big puppy. When he stretches out on the floor to sleep in our tiny house he covers a lot of space. 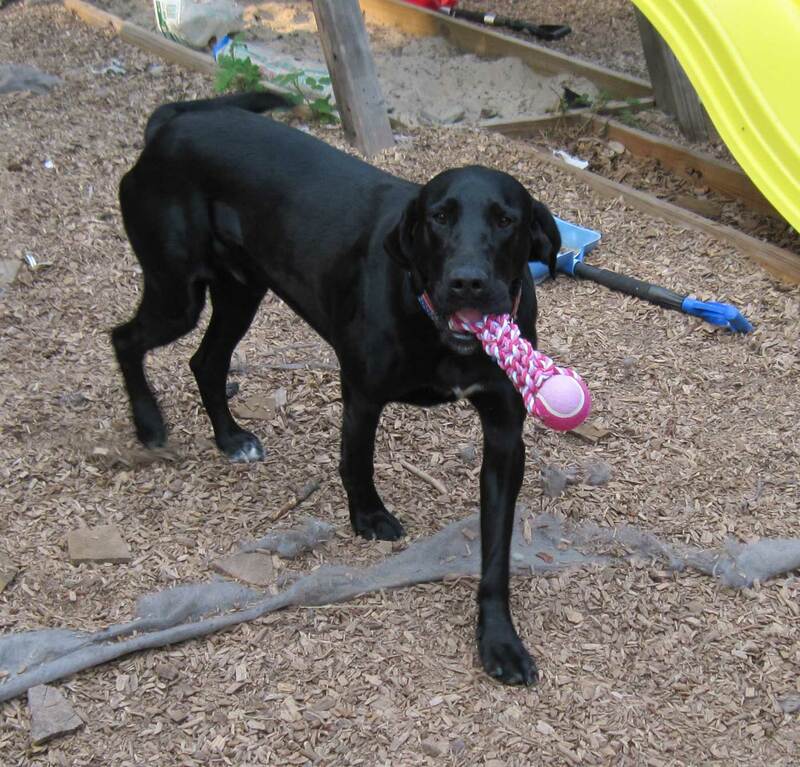 He loves to play with our female dog Kenna, though he isn’t all that friendly with other boy dogs. And he thinks that our cat would make a good snack, wants to chase him every time he sees him. Otherwise he is super gentle. He is amazingly good with our boys, most mishaps are because he is so big and occasionally gets a bit rowdy and knocks them down. Especially my 6-year-old son. Deacon loves food, doesn’t want to share his food with other dogs but will tolerate his humans picking up his dish or treats without arguing. 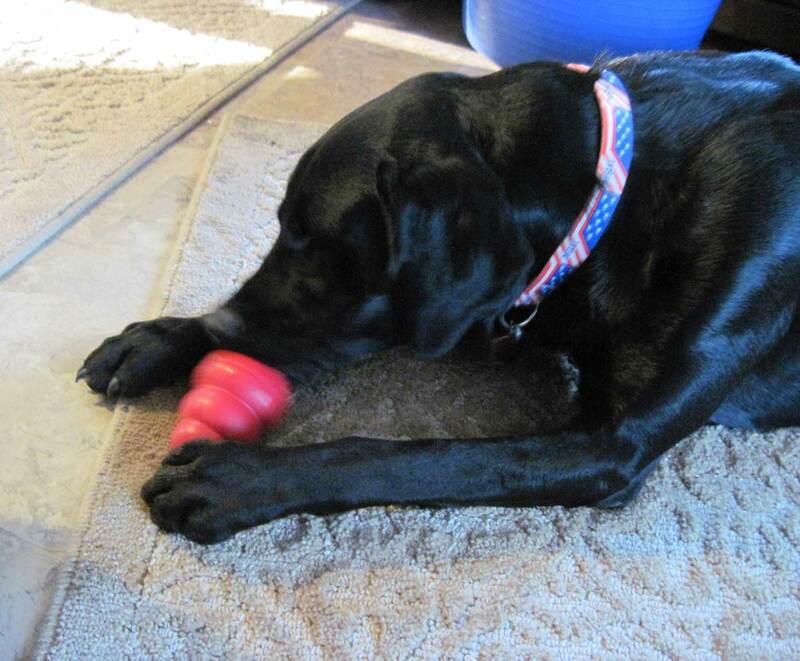 He is especially fond of Kongs filled with frozen canned dog food. He is very good about walking on a leash and loves to go for a nice long walk every morning and evening. In between walks he is thrilled to play fetch, though he hasn’t quite figured out the “Drop” command. He mostly just wants to be with his humans. He loves to have his ears rubbed and would be happy to be a lap dog if allowed. He is going to be a wonderful forever friend for some lucky household. If you know of someone in the Colorado area that would love to give Deacon a loving home, please have them visit the RMLR website to fill out an adoption application. There are also lots of other wonderful dogs besides Deacon looking for a forever home as well.